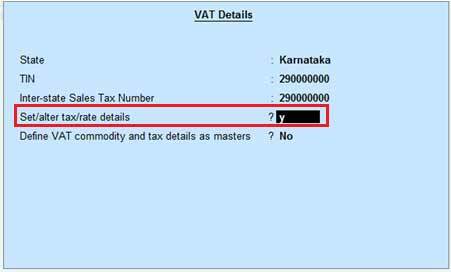 Home Statutory&Taxation CST configure VAT and CST rate for an item which is dealt locally as well as interstate in Tally.ERP 9? 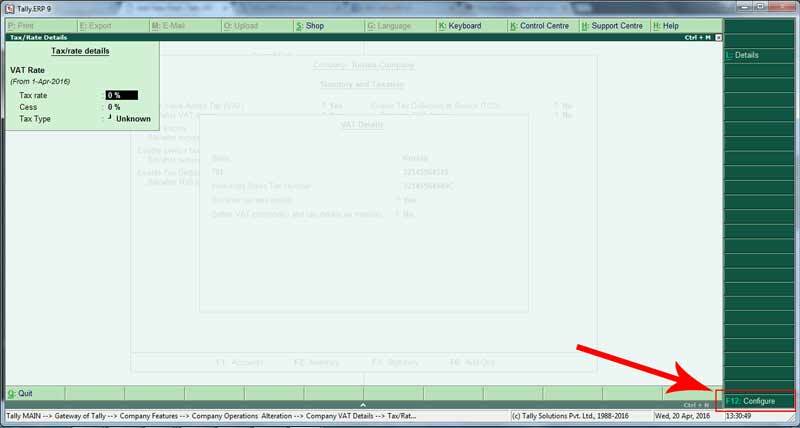 configure VAT and CST rate for an item which is dealt locally as well as interstate in Tally.ERP 9? There might be stock items which are dealt locally as well as interstate by some companies. 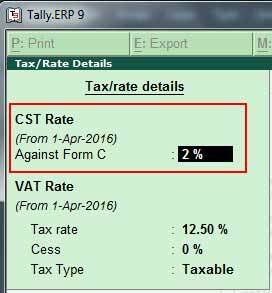 In such case hHow to configure VAT and CST rate for such items in Tally.ERP9 release 5 onwards. From Gateway of Tally> F11: Features> F3: Statutory> Set/Alter VAT details. Set/Alter tax/rate details : Yes. Press Enter ,immediately after set Yes to above highlighted option, You will see a new screen where you can enter Tax/rate details. You will get a configuration screen. Press Enter, You will get options to get CST Rate. Note: VAT rate can be set at company level if all the items in the company are taxed at a single rate. If different items are taxed at different VAT rates, the same can be specified at stock group/stock item level. For local sale/purchase, ensure that party ledger selected is configured with local state. On selecting the VAT ledger, the VAT amount gets calculated automatically at the configured rate. For interstate sale/purchase, ensure that the party selected is configured with any state other than the local state. 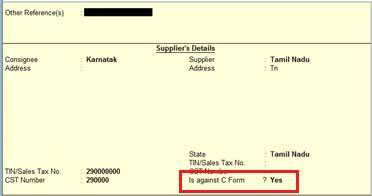 While passing the transaction, make Is against C form as Yes in supplementary details. On selecting the CST ledger, the CST amount gets calculated automatically.